Today I am going to share very useful code for create application shortcut on Home-Screen in android. If we upload our application on Google store, google automatic create shortcut of application, but if we want create our own launcher use broadcast receiver. Just copy paste below code and enjoy. I am using shared-preference for checking app first time install, else it will create many shortcut every-time. Note: don't forget to add permission in your manifest for create shortcut. Thanks for posting this . I have been looking for 3 days. Hello. How do if uninstall app? I think it should automatic remove shortcut on uninstall app. is it? "Select your option from list-"
and in-front of all data you need a checkbox right? At-least create demo app from where you can get data and send me your demo app over my email then i can try if it is possible. 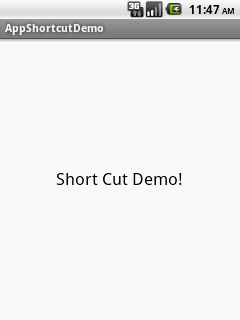 I am not getting what you have did in your demo app. please let me know you want checkbox values from sqlite or something else? Hello Manish sir, i wants to create shortcut at installation time.Please guide me. 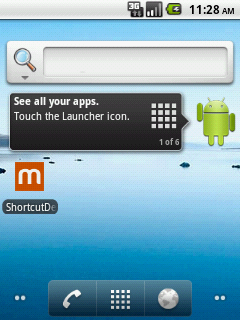 How to create shortcuts of all installing apps from launcher or app drawer???? i want to make an app in which there is a grid view or listview in which all installed apps exist and after selecting any app shortcut should b appear on Home Screen. plz help me. (sorry for my bad english)..Thanks in advanced. Hi Saqib, I am not sure but it should be possible using package name of any application. i have done but there is one problem,only App package name is showing on homescreen app icon is not showing,android default icon is showing on homescreen with package name after long press on App. Its seems getting launcher code is not working, please check it should work because i have a app lock app and in this app i am getting all the icons perfectlly. Hai sir I want to add grid view items into the listview using long press listener but listview placed in sliding drawer so i dont know how to do pls help me,my project about GoLauncher,Apex Launcher. code is running fine but no shortcut is created in homescreen?? Did you check all pages? Thanks.. But is there any way to create the shortcut without openning the application??? You have to call that service to create shortcut so if you can call that without opening app you can create shortcut too. BTW when you will upload your application on play-store shortcut automatically will be create.